QC Conveyors specializes in manufacturing low profile, belt conveyors, and custom conveying systems, including magnetic and corrosion resistant varieties, for all industries and applications. allow for quick, reliable and efficient transportation. They have three series of conveyors: Industrial, Automation, and Sanitary, all designed specifically for certain manufacturing environments. 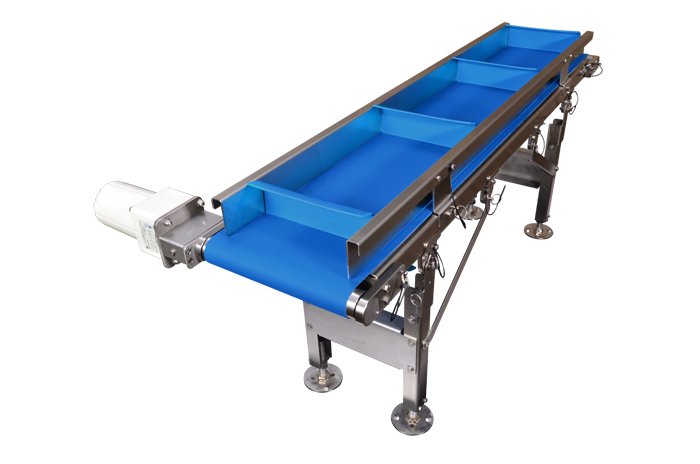 QC Industries’ HydroClean Conveyors are designed for clean and efficient handling for all types of sanitary and food grade applications, perfect for the food and medical industries. The HydroClean sanitary food grade conveyors are designed for quick and effective sanitation and protection from contamination. The belts are easy to remove to allow for quick cleaning, and we have one in-office we can come and demonstrate for you to show the true ease-of-use! How can we help convey your automation process to the next level? Contact us so we can convey to you how QC Conveyors can move your manufacturing forward. Together will will select the best QC Conveyors for your automation.